The Irish Cultural Centre Academy’s Fall Semester of classes is in session! The Fall 2013 Semester features classes in Beginner, Advanced Beginner, and Intermediate Irish Language with instructors from Cumann na Gaeilge, and classes in Beginner and Intermediate/Advanced Bodhran with instructor Mance Grady. 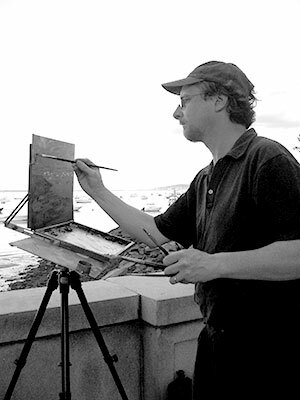 We have an exciting new painting workshop for artists and art enthusiasts as well—a 3-week class in painting technique with renowned painter Vincent Crotty, which runs Thursday October 3, 10, and 17 from 6:30-9:30pm. Irish Language classes will be held starting Wednesday, September 18th from 7:30-9:30pm. Bodhran classes will be held in two 5-week sessions on Thursdays—semester 1 begins September 19 for five weeks, and session 2 begins October 24th for five weeks. All classes are available for adults ages 16 and up. Cumann na Gaeilge is Boston’s Irish Language Association. Classes at the ICC Academy are a perfect introduction to Irish language and culture, allowing participants to learn conversational Irish in a welcoming and social environment. Materials needed for class will be provided by the instructors. The Beginner Irish Language class is suitable for absolute beginners and advanced beginners. The Academy’s Advanced Beginner class caters to those who have basic Irish language skills under their belts. If you can carry a basic conversation in Irish, then the Intermediate level class is for you, which focusing on the intricacies of the language. Vincent Crotty is an Irish-born artist living in Boston. Regarded for his landscape and figurative paintings, Vincent explores the places and faces of both Atlantic coasts as his primary subject matter. Working with oils, he paints with rugged textures and vigorous brushstrokes, balanced by sensitive color. In his Painting Ireland workshops, students will explore paint on canvas, experiment with mixing colors, and will gain a better understanding of paint. Students may bring their own specific projects or questions. Mance Grady is the first American Bodhran player to receive the distinction of being named a Master Player by the National Endowment of the Arts. The Bodhran is a traditional Irish frame drum, usually played with a stick called a tipper or a beater, which may also be played with one’s hand. Mance offers classes for Beginners from 7-8pm on Thursdays, offering positive insight and direction to those just starting out on this traditional rhythm instrument. His Intermediate/Advanced class runs from 8:15-9:15pm and is ideal for those who are comfortable playing basic rhythms in Irish traditional music and wish to move on to more advanced techniques.. Students are required to bring a bodhran and a notebook to class. Bodhrans will also be available to rent from Mance for $5 per class. Both 5 week sessions will offer Beginner and Intermediate classes. Pre-registration is required for all Academy classes. Registration closes the week classes begin. Irish language classes are $140 for Members and $160 for non-members. Painting Ireland is $150. Bodhran classes are $90 for Members and $100 for non-members per five-week course. Registration is available by calling the ICC at 781-821-8291. We hope to see you in the fall!